We source the green coffee directly from the cooperatives that grow the coffee. 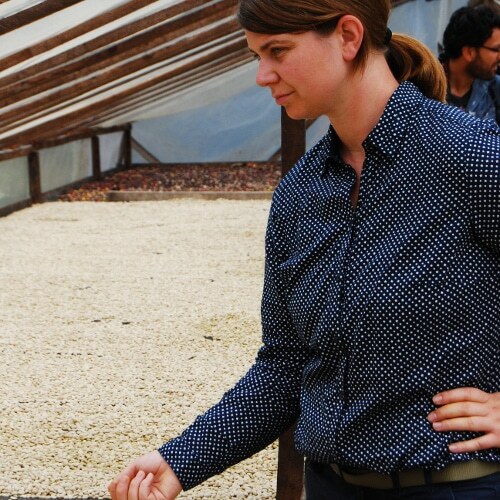 Their knowledge about coffee cultivation makes our high-quality coffee possible. We don’t use intermediaries or coffee exchanges. 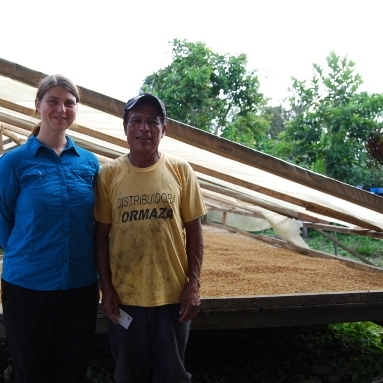 This guarantees that the producers receive all of the money paid for the green coffee. Our concept of direct trade is based on sustainable support structures and an intensive exchange with the producers of green coffee. For us fair trade means fair prices and a close collaboration with the cooperatives. In order to realize this, we joined forces with other coffee roasteries in Europe to form Roasters United and purchase green coffee together. 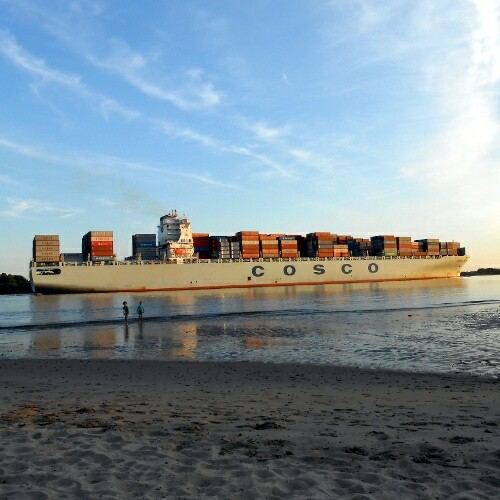 We don’t just share the import costs, but also our accumulated knowledge. We cooperate when it comes to quality assurance, by transferring knowledge and by sharing the task of visiting the cooperatives. We only work with small- and medium-sized democratically organized cooperatives. We guarantee the cooperatives a minimum price of $2.75 per pound of green coffee. The Fair Trade price is currently $1.40 per pound. We collaborate continuously with the cooperatives to improve the quality of the coffee. We finance up to 100% of the harvest up front. We don’t take any interest for the financing so it’s easier for the producers to cover their costs until harvest. We visit the cooperative once a year and discuss current developments. We support organic farming – most of the cooperatives are certified organic, all of them work in an ecologically sustainable manner. Forced labor or child labor are prohibited. We establish long-term, sustainable relationships with the cooperatives. 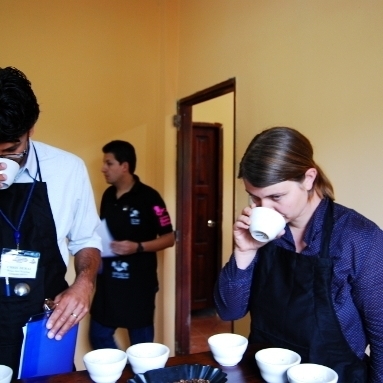 We support projects and initiatives in the coffee producing regions. We do not import from single farms or large farms as we think that it is important to distribute wealth and knowledge widely. Microlots should always be sold through the cooperative. In this way everyone benefits from the higher prices and the other producers are also encouraged to achieve a higher level of quality. We always address the development of quality during our visits and highlight that this is an important guarantor for future success that is independent of the fluctuating premiums for organic and fair trade products.